Police Chief Brian Laird began his law enforcement career with the Paducah Police Department in 2001. 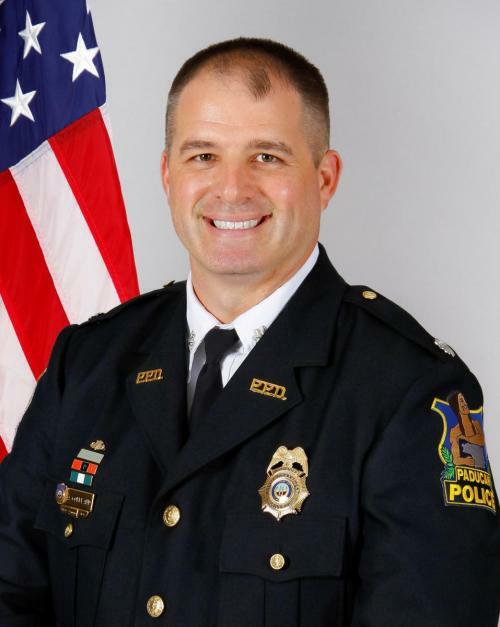 He became Paducah Police Chief effective January 1, 2019. 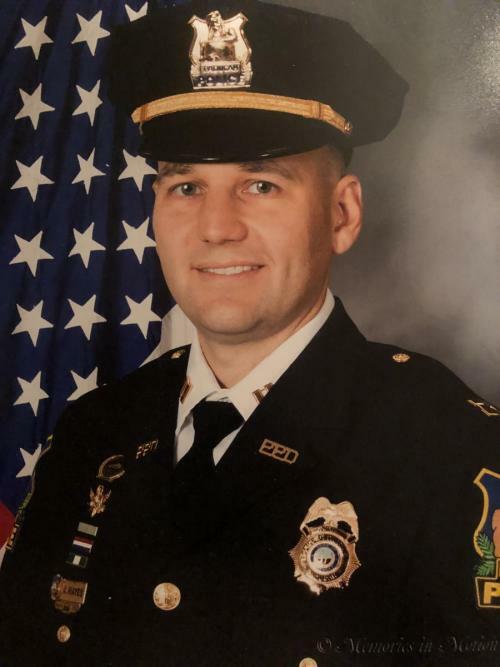 During his career, he has served and supervised in all divisions of the department as a Patrolman, Detective, Sergeant, Captain, and Assistant Chief. Before becoming Chief, Laird led the Support Services Division. This division is comprised of the Records and Evidence Unit, along with two detective units: General Investigations and Drug and Vice Enforcement. He also served as Commander of Specialized Units which includes SWAT, Bomb Squad, K-9, and the Crisis Negotiation Team. Chief Laird holds a Bachelor of Science degree from Murray State University and a Master of Science degree from the University of Louisville. He is a 2017 recipient of the FBI-LEEDA Leadership Trilogy Award. In 2014, he completed the 131st session of the Administrative Officers Course/Executive Program through the Southern Police Institute. He also is a graduate of the Kentucky Department of Criminal Justice Executive Development Program and Academy of Police Supervision. In 2013, he received the Gary L. Reese Award for outstanding leadership and distinguished career service and was the 2006 Employee of the year with the Paducah Police Department. Chief Laird is active in the local community. He is a member of the Downtown Kiwanis Club where he is currently serving his third term on the board of directors and was a member of Leadership Paducah Class #29. He also is a member of the Fraternal Order of Police and past president of the Paducah Police Collective Bargaining Unit. In his free time, Chief Laird enjoys spending time outdoors with his wife and two children. Assistant Chief Anthony Copeland leads the Operations Division of the Paducah Police Department. The Operations Division is charged with providing 24-hour police service to reduce crime and enhance the quality of life for the citizens of Paducah. This is accomplished, in part, through patrol, outreach, and working with the community to solve problems. Also within Operations is the City’s SWAT team, Bomb Squad, Police Officer Training Unit, Accident Reconstruction, Hostage Negotiation, Explorers, VIPS, and Honor Guard. Assistant Chief Copeland is originally from the Baltimore, Maryland, area where he was an officer with the Baltimore County Police Department. In 2006 he and his wife, and then only child, moved to Paducah to begin his service with the Paducah Police Department. Since 2006, Assistant Chief Copeland has had the opportunity to work in every part of the department, spending several years in Investigations as both a detective and supervisor. His recent assignments have been focused on leadership in patrol. During his time at the department, Assistant Chief Copeland has focused on developing positive relationships between the police department and the community and mentoring and developing officers. He assisted in developing a drug prevention program called, “Choices and The Juvenile Brain.” This program has been presented to thousands of middle and high school children across the region. He has also been a member of the Bomb Squad for the past 10 years. Assistant Chief Copeland has participated in the Cultural Leadership Academy, the Southern Police Institute’s Administrative Officers Course, DOCJT Academy of Police Supervision, earned the FBI LEEDA Trilogy, as well as attended hundreds of hours of investigative and leadership training. He has also obtained his bachelor’s degree in business from Mid-Continent University and is currently working on his Master’s Degree. Assistant Chief Copeland is currently a member of the Paducah Rotary Club, the National Bomb Squad Commander’s Association, and Kentucky Association of Chiefs of Police. Captain Joe Hayes has dedicated his adult life to public service. It started with his enlistment in the United States Marine Corps in 1996. After leaving military service, he continued to support military operations as a contractor. In 2002 he became a government civilian employee working in the Department of Homeland Security. Captain Hayes began his career with the Paducah Police Department in 2004. He has served in all aspects of the department to include operations and investigations. Captain Hayes is an active shooter instructor and an Intelligence Liaison Officer. He was an operator and team leader of the department’s SWAT Team and currently serves as the commander of specialized units. 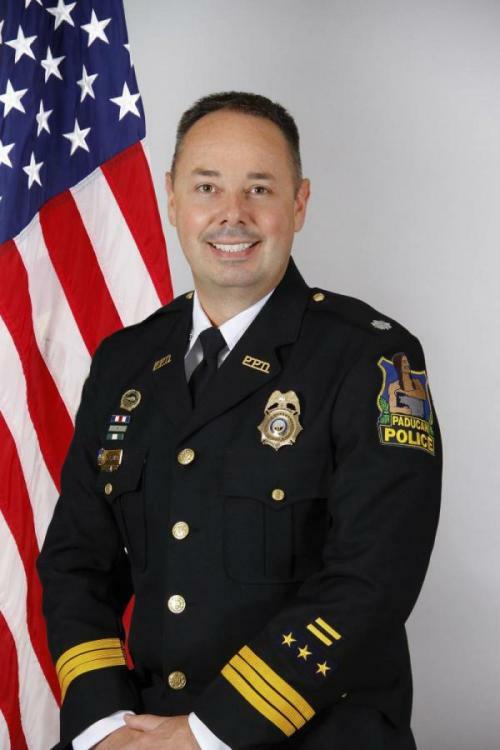 Captain Hayes holds a Bachelor’s degree in business management and a Master’s degree in criminal justice. He is a graduate of the FBI National Academy, the Criminal Justice Executive Development course, and the Academy of Police Supervision. In 2017, he received the FBI-LEEDA Leadership Trilogy Award. Captain Hayes is active within the community. He serves as a Sunday School teacher for middle school boys at Twelve Oaks Baptist Church. Captain Hayes has coached youth softball, soccer, and basketball. He is a member of Paducah Downtown Kiwanis and American Legion Post #572. Captain Hayes spends his free time with his family and remaining active in outdoor activities.